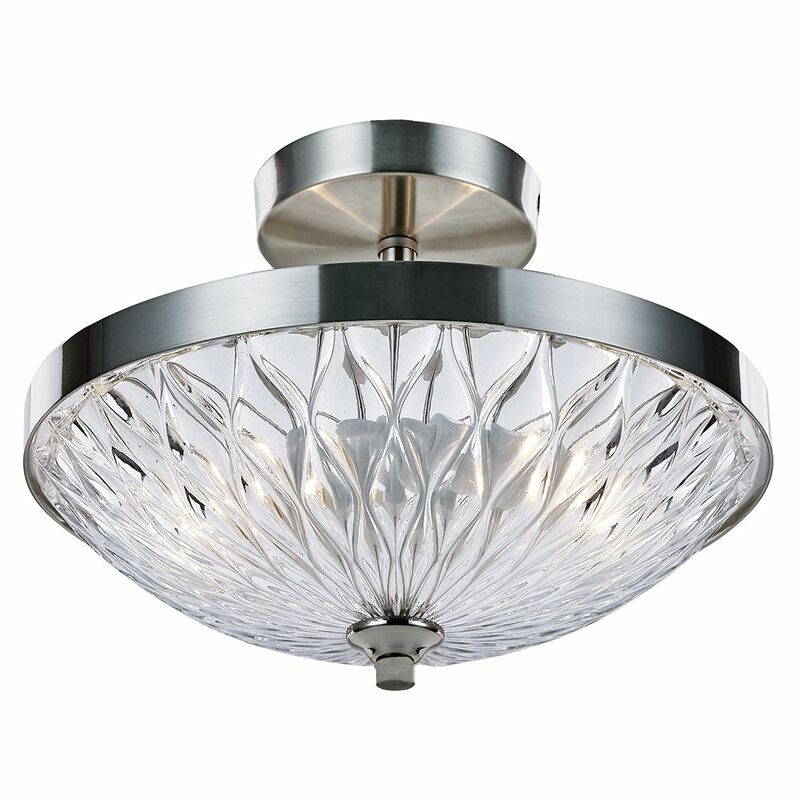 Unique and contemporary satin nickel plated metal semi-flush ceiling light fitting. 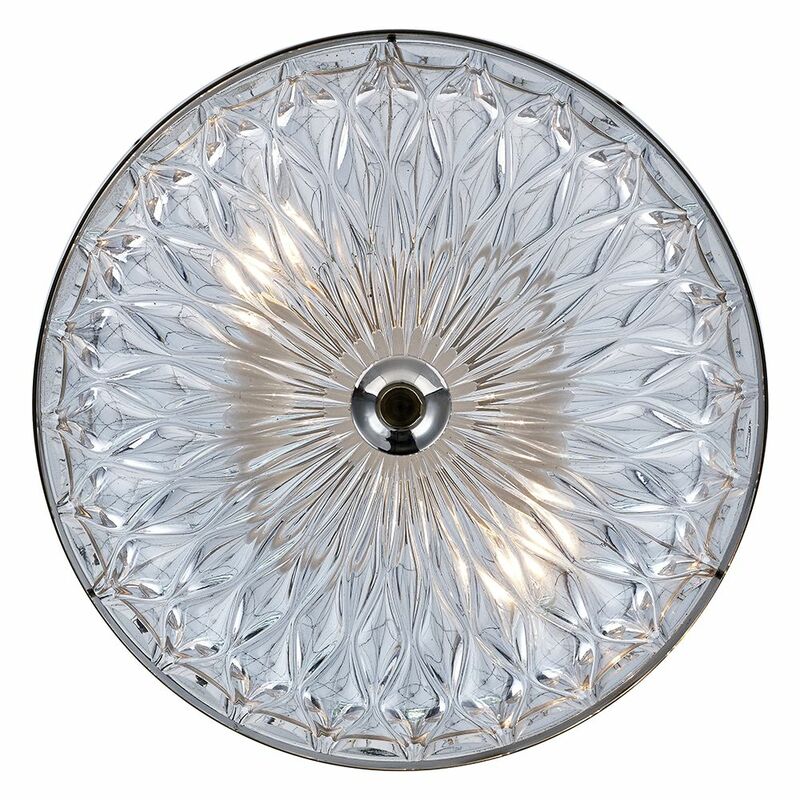 Features eye-catching and distinctive clear moulded glass shade with ripple effect. 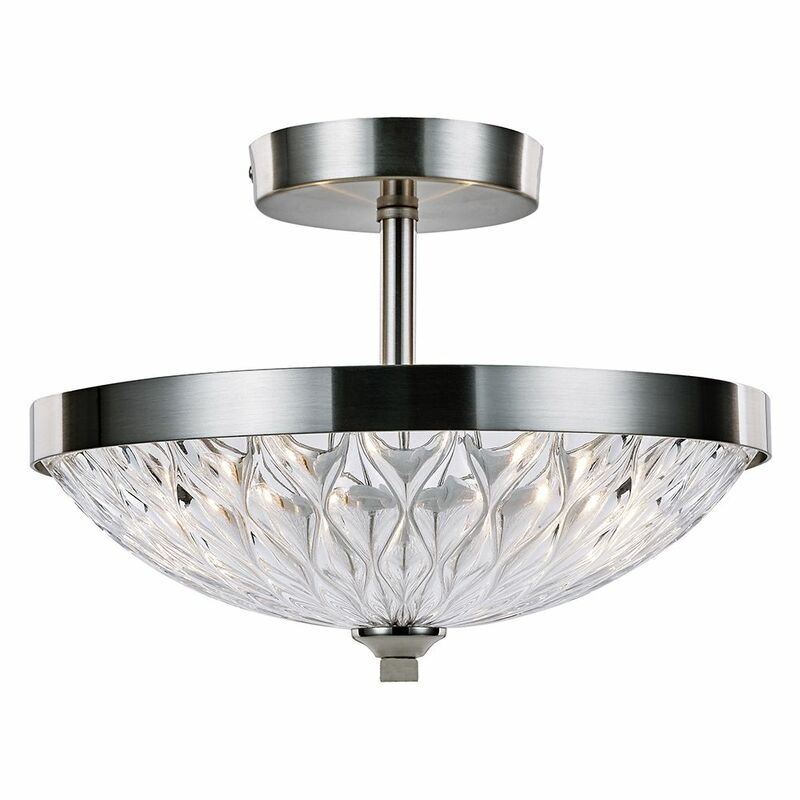 Total product dimensions - Height: 25cm, Width: 30cm, Length: 30cm.